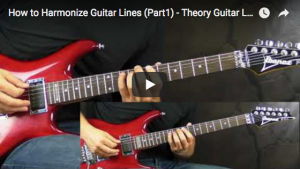 In this lesson I give a brief explanation (introduction) on How to Harmonize Guitar Lines. 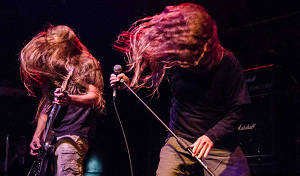 Explaining the simple intervals and a major scale followed by 2 examples from “Lack Of Comprehension” by Death and the famous riff from “Raining Blood” by Slayer. 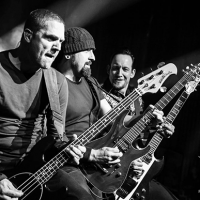 Here’s a lesson on How to play “The Devil’s Bleeding Crown” by Volbeat. Cool song with lots of cool riffs in a swing feel, which is a little unusual for metal but it works! Short but sweet Solo is included as well. Check it out! Here’s a lesson on How to play the Solo from “I Don’t Know” by Ozzy Osbourne. This solo has typical Randy Rhoads licks and tricks – some pentatonic bluesy licks, tapping with the pick, dive bombs, double picking and chromatic lick. A lot to learn, so check it out! This is a lesson on How to play rhythm part of “I Don’t Know” by Ozzy Osbourne (Randy Rhoads on guitar). 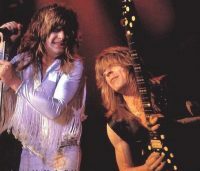 Randy was absolute beast on guitar and his riffs always stood out. Quite busy rhythm part with lots of cool fills in between and a beautiful Middle part with clean guitars. Check it out!